In the bizarre world of rock criticism, it’s easy to get wrapped up in aspects of the job that seem incredibly important in the moment, but in actuality just aren’t that big a deal. Whether it’s a well-placed zinger, a missing club listing or a critique that rubs you the wrong way, the temptation to make mountains out of molehills can be overwhelming. But when put into perspective, the minor foibles of this, or any other, profession are just that: minor. One year ago, a young Vermont musician named Sam Cohn was struck and killed by a car while visiting friends in Florida. He was 14 years old. A talented multi-instrumentalist, Sam was an avid guitarist, bassist and drummer who got his start playing at Burlington’s Rock Camp under the guidance of current 242 Main booking manager Frankie Andreas. Sam’s untimely death profoundly resonated among those who knew him well, prompting close friend Kevin Cafferky to put on a benefit in the fallen guitarist’s name. It drew more than 400 people and provided scholarships for the Bolton Valley Snowboarding School, Rock Camp, Abenaki Camp and a special scholarship called the “Sam Cohn Musical Soul Giveaway” in which one lucky winner receives their dream guitar from Advance Music. Almost one year to the day after Sam’s passing, The Sam Cohn Foundation Benefit is back. In addition to the scholarships, this year’s event features performances by some of his favorite local musicians and friends, including 15-year-old songwriter Erin Bentlage, mysterious mystics Theraveda, Skanky Green — who wrote a musical tribute in honor of Cohn entitled “The Ballad of Captain Sam” — and, at the top of the bill, hard-rockin’ metal fiends, Amadis. If you’re unfamiliar with Amadis, allow me to handle the introductions. 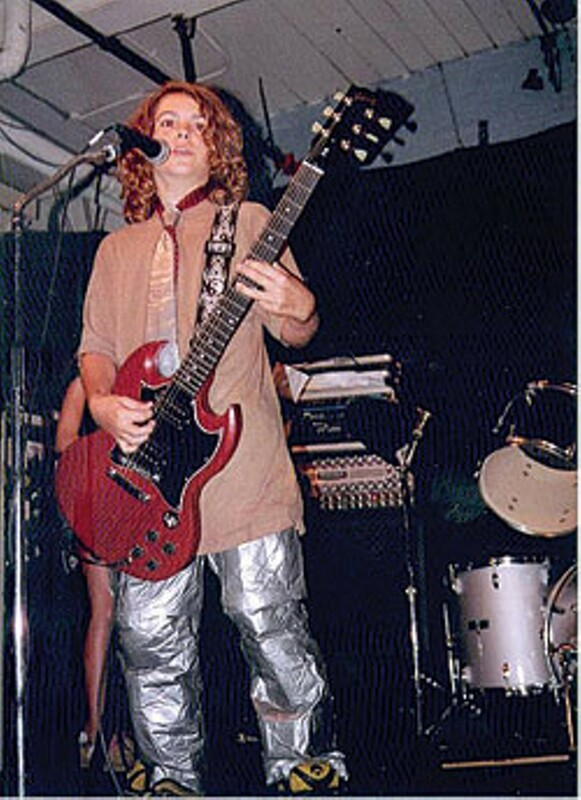 As co-founder, Andreas — known in the band as Franky Vitriol — states, “Me and Chaim Rochester started Amadis because I needed an excuse to buy a Flying V and he needed an excuse to buy leather pants.” Honestly, what more do you need to know? Amadis delivers as authentic a brand of metal as you’ll find anywhere in the Green Mountains, embracing time-honored genre traditions such as the aforementioned leather pants, head-banging riffs, over-the-top vocals and arena-rock drumming. I’m guessing Sam would approve. The Sam Cohn Foundation Benefit takes place this Saturday at the West Monitor Barn in Richmond. More details about Sam, the foundation and the show can be found at http://www.samstones.org. The similarities between Burlington’s Radio Bean and its quirky Montpeculiar cousin, the Langdon Street Café, are striking. 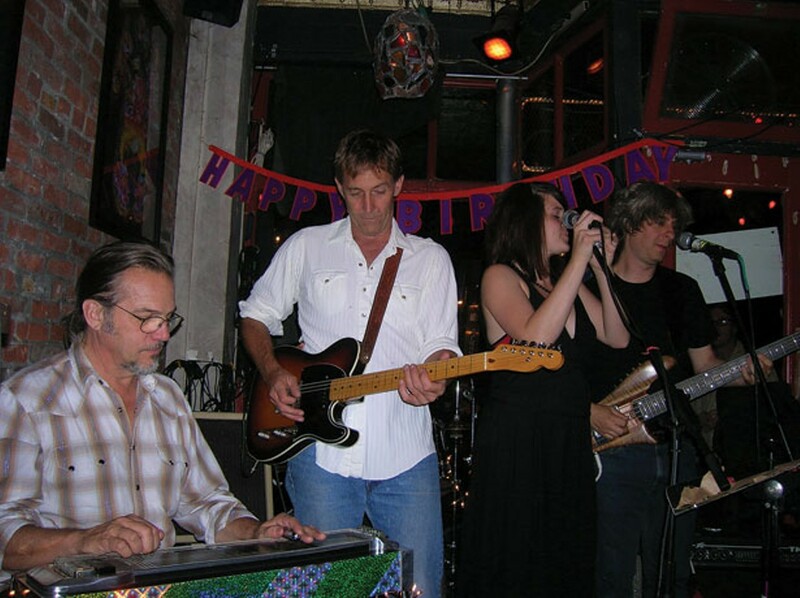 Both venues provide an eclectic array of live music options every night of the week. They’re both cornerstones of their respective city’s music scenes. And both feature weekly honky-tonk nights, hosted by two of the area’s most respected country crooners. Sadly, it’s a parallel that will soon be over. Honky Tonk Happy Hour with Mark Legrand has enjoyed an exceptionally strong run. Every Friday evening for the last two years, those in search of boot-stompin’ barnburners and tear-in-your-beer balladry have found refuge at the nifty coffeehouse in the shadow of the Golden Dome. But as anyone who has ever listened to a country song knows, all good things must come to an end. Citing the need for a break, Legrand and his Lovesick Bandits will “close up the honky-tonk” on Friday, December 7. Word on the street is that a more informal Americana session will take over the 6-8 p.m. time slot. When God closes a door, he opens a window. Or at least a bottle of moonshine. During my musical travels over the last few weeks, the one thing everyone wants to know is when the Honky Tonk Sessions would be up and running again. Well, now you know, folks. Please stop with phone calls and threatening emails. Hughes has been traipsing all over God’s green Earth — or at least the East Coast — for the last month and a half as a touring sideman with sultry singer Shannon McNally. As such, there’s been no one to mind the store on Tuesday nights and the Sessions have been on hiatus. I, for one, am glad it’s back. It was getting hard to come up with an excuse to go out drinking on Tuesday nights. Cheers! Here’s one thing to not be thankful for this week: It is slowwww in the music department. Higher Ground is closed through the weekend. Radio Bean is drawing the shades and shuttering the windows until Monday as well. As such, there’s not much to tell you about, and I’ve still got 100 words to go before this column can be put to bed. What’s a music editor to do? Set a record, that’s what. I’m pretty sure this has never happened in the Seven Days music section before, but this week, The Aztext are pulling off the publicity hat trick with a CD review, a spotlight and, now, a column item. Why all the press, you ask? Well, for one thing, there’s not a whole lot else going on this week, as I have already stated. But more importantly, these guys are really good. I had the opportunity to watch them freestyle at last week’s hip-hop open mike at Nectar’s and, frankly, I was blown away. Rapping is hard enough to do when you have the luxury of writing your rhymes down ahead of time. Rapping without a safety net is even more impressive. Do yourself a favor and make your way to Nectar’s this Saturday to support local hip-hop and one of the bright spots in Vermont’s music scene, The Aztext. Oh, and have a happy Thanksgiving.